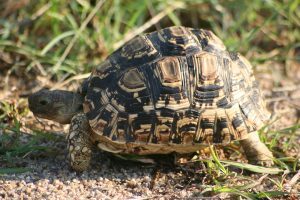 Need a Kruger Park Reptile checklist? Well Stories Of The Kruger have made one just for you. There are around 120 reptile species in the Kruger National Park, and this comprehensive free PDF checklist will help you keep track of what you see in the Park. This checklist is also useful to use when identifying reptiles. You can match up the names on this list with the species you have identified in your field guide or reptile book. 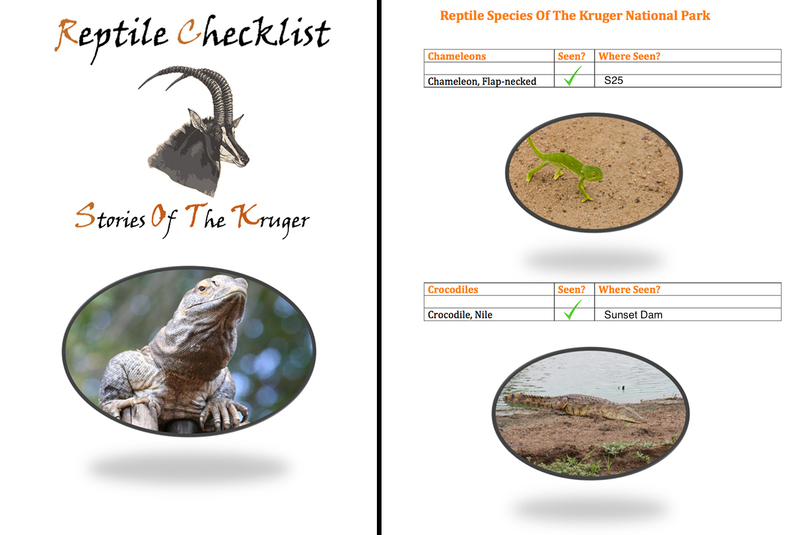 Please download your Kruger Park Reptile Checklist below. What You Get With The Kruger Park Reptile Checklist? The Kruger National Park is well known all around the World as a place where the Big 5, and Big 7 (Includes Cheetah and Wild Dog), can be seen. Many people do miss the smaller things, especially the reptiles. The reptiles in the Kruger National Park are made up of Chameleons, Crocodiles, Lizards, Snakes, Terrapins, Tortoises and the strange Worm Lizards. Seeing some of these reptiles is often very challenging, so any sighting, even the colourful Rainbow Rock Skink, should be cherished. Remember, the Kruger is far more than the big five. The Kruger is also home to a vast array of other wildlife and flora… Trees, flowers, shrubs and plants, insects and arachnids, amphibians, birds, and mammals. The diversity the Kruger offers is huge. All of these checklists are available for free download, and are in PDF format, making it easy to print, bind and even laminate. They cover all the species that occur within the Kruger National Park. If you like the checklist, make sure to have a look at our books and our shop. Also don’t forget to follow us, like us and subscribe to us on our social media channels below.